January is here, and without a playoff berth, Buccaneers fans are left wanting for any information related to the team. I think most of us might settle for a piece detailing each players’ breakfast at this point. With a new coach hiring, the state of the franchise is a huge question mark. What we do know is Bruce Arians has completely filled out his coaching staff. Here’s part one of two of a detailed look at the 2019 Buccaneers coaches. This hire is a little nostalgic for me because Byron started at quarterback for the Buccaneers the first year I was a fan in 2009. His starting career didn’t last long, but nevertheless I’m happy to see him a Buccaneer. His coaching career started in 2016 when he interned under Bruce Arians at Arizona. He was promoted in 2017 to quarterbacks coach, then took over as interim offensive coordinator after Mike McCoy was fired in 2018. Goodwin has history with Arians, serving as his offensive line coach and quality control coordinator at Pittsburgh while Arians was offensive coordinator from 2007-2011, as the Colts’ offensive line coach in 2012 under offensive coordinator Bruce Arians, and as Head Coach Bruce Arians’ offensive coordinator at Arizona from 2013-2017. Under Goodwin’s leadership, second-year running back David Johnson set franchise records and led the NFL in scrimmage yards and touchdowns, earning a Pro Bowl appearance. 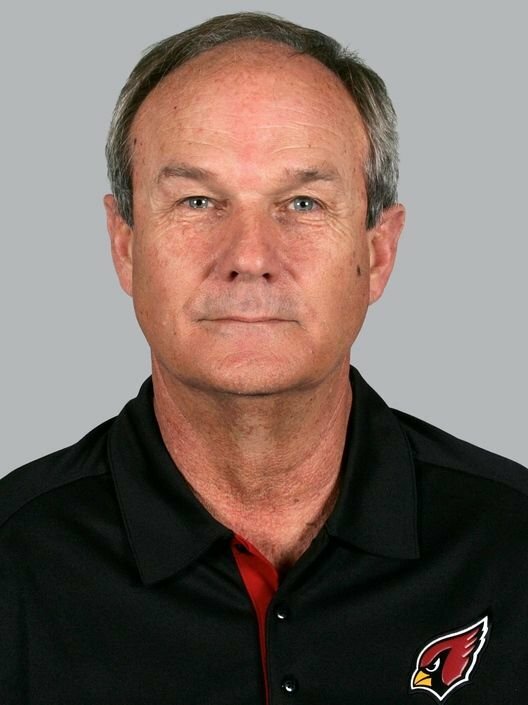 Goodwin also has a history with the Buccaneers, having interviewed for the head coaching job in 2016 when ultimately Dirk Koetter was hired. Buccaneer fans who have been around a while will remember this name: Clyde Christensen served on Dungy’s staff from 1996-2001, first as tight ends coach, then as quarterbacks coach, then had a one-year stint as offensive coordinator. For the past 14 seasons, he’s been at the Colts, winning a Super Bowl with the team in 2006. He served as the Colts’ offensive coordinator from 2010-2011, and was then demoted to quarterbacks coach when Bruce Arians was brought in as offensive coordinator. In 2018, Christensen was the Director of Football/Player Development at Miami. Christensen and Arians go back further than Arians’ brief stint with the Colts: Christensen was on Arians’ staff at Temple from 1983-1985. Joe Gilbert spent last season at the University of Arizona, but before that was a member of the Colts from 2012-2017, including when Arians was offensive coordinator. Prior to joining the Colts, Gilbert spent his career coaching at the collegiate level. Rick Christophel and Bruce Arians’ history goes all the way back to 1991, when Christophel was the wide receiver coach and Arians was offensive coordinator at Mississippi State. The two met again in Arizona when Arians brought Christophel on as the team’s tight ends coach. This name will ring a few bells, but it’s not because of an accomplished coaching career. Todd McNair was the collateral damage in the USC scandal involving Reggie Bush. This Sports Illustrated article sums it up pretty well, but in a nutshell, Todd McNair coached Reggie Bush at USC. Bush received gifts from Lloyd Lake, a marketing professional attempting to land a high-profile client. Lake alleged he and McNair discussed the matter in a telephone call in 2006. NCAA officials questioned McNair, but asked him about a date in 2005, causing McNair to deny the fact pattern. The NCAA sanctioned McNair, and he hasn’t coached since 2011. McNair attempted to sue the NCAA for defamation but was unsuccessful. Prior to USC, McNair coached at the Cleveland Browns and at the high school level. He was a running back in the NFL with the Kansas City Chiefs and the Houston Oilers. He was one of Arians’ running backs at Temple from 1985-1988. Bruce Arians is known for giving second chances, and this hiring may be one of those cases. McNair was known for his recruiting capabilities, so may offer an eye for talent. Additionally, a man that has something to fight for is an asset in our eyes. We’re excited to see what Arians can do with this hire. 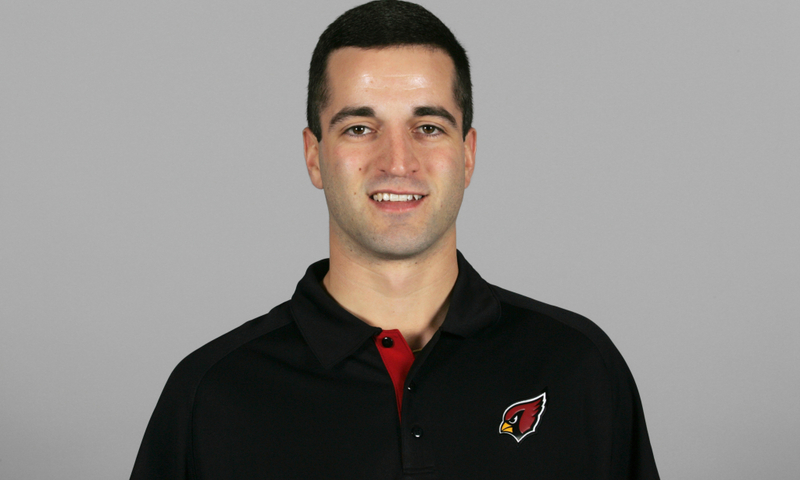 Another Cardinals alum, Kevin Garver acted as an offensive assistant from 2013-2016 and was promoted to wide receivers coach in 2017. He stayed with the Cardinals through 2018. During his time with the team, he worked with receivers like Larry Fitzgerald, John Brown and Christian Kirk. Prior to Arizona, Garver worked under Nick Saban at Alabama. Bruce Arians likes to play mentor, and Antwaan Randle El is one member of the 2019 Bruce Arians Coaches University class. Many football fans with recognize the name, as he came into the league as a wide receiver in 2002. Arians was Randle El’s wide receivers coach from 2004-2005 at Pittsburgh, then was his offensive coordinator in 2010 when the receiver returned to the team for a brief stint. Randle El won a Super Bowl in Pittsburgh with Arians. John Van Dam is coming straight from college ball, where he’s been a coach since 2008. There is so little information about him on the interwebs, Google assumes you misspelled “Jean-Claude Van Damme”. Stay tuned for part two of our in-depth look at the 2019 Buccaneers defensive and special teams staff.